Teknomek's PVC strip curtains are known for helping reduce hygiene risk by keeping differently graded areas within cleanrooms separate. The company has now extended this protection by adding anti-microbial protection embedded within the PVC to prevent the growth of bacteria, including MRSA, and further minimising the risk of cross-contamination. The anti-microbial curtains are built to last, with silver ions incorporated during the manufacturing process, providing significantly greater microbial resistance. The hard-wearing curtains suitable for use in temperatures of 38°C to -10°C. Sue Springett, commercial manager at Teknomek, says: "The new anti-microbial strip curtains offer an additional level of microbial security. It demonstrates that you take risk management seriously by closing another potential chink in the armour. Cross contamination continues to be a major issue: by embedding anti-microbial properties within the curtains, another risk is minimised through product design without incurring additional procedures." 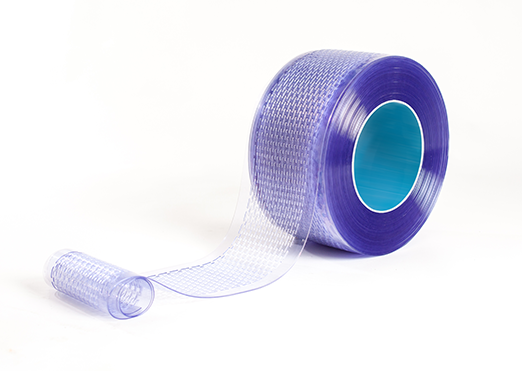 The PVC strips are available in widths of 200mm and 300mm and with thickness options of 2mm/3mm to suit particular use case scenarios both within and beyond the cleanroom to extend hygienic standards throughout the facility. They can be coupled with light duty hooking systems for interior pedestrian doorways, or with a heavy-duty version for heavy plant openings, which is robust enough to cope with regular forklift traffic. They can be delivered as 50mm rolls or as pre-cut strips, which come with or without stainless steel plates ready to fit to existing hanging systems. While people and plant can pass through easily, rain and wind are kept out of the facility. The curtains' thermal properties retain heat offering a simple and eco-friendly way to help reduce energy costs. The tough PVC also acts as a sound barrier, reducing noise transfer between areas.